Salt the eggplant slices, and let stand for 20 minutes. Rinse with cold water, and pat dry. 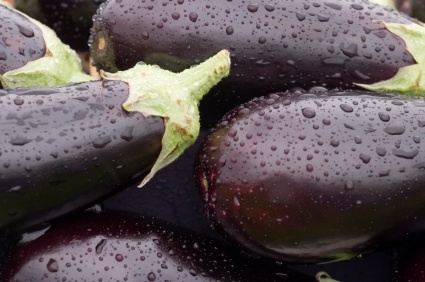 (This process makes the eggplant more tender and less bitter.) Warm the oil over medium heat. Cook the eggplant and onion until brown and lightly crisp. Remove from the pan. Add the tomatoes and vinegar to the pan, and cook for a few minutes over medium heat. Add the capers and olives, and season with salt and pepper to taste. Toss with the eggplant and onion, and serve immediately.